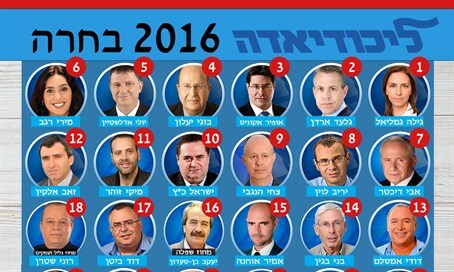 As part of Likud event in Eilat, mock primaries find Gila Gamliel most popular party member. The Likudiada, the Likud party's conceptual committee, took place in Eilat's Club Hotel over the weekend. For the first time, the event included mock primaries to judge the popularity of the party's MKs and ministers a year after the elections. All elected officials took part, along with central activists from around the country. All attendees who are registered with the Likud were eligible to vote on the computerized ballot. Though the results have no direct effect, the atmosphere was completely serious. The candidates mingled with the attendees, placed signs and explanatory booths, handed out fliers and tried to convince potential voters to vote for them. About 80 percent of those registered cast their ballots. The top winner was Social Equality Minister Gila Gamliel, followed by Public Security Minister Gilad Erdan. Science Minister Ophir Akunis came in third. Defense Minister Moshe Ya'alon, Knesset Speaker Yuli Edelstein, Sport and Culture Minister Miri Regev, MK Avi Dichter, Tourism Minister Yariv Levin, coalition head Tzachi Hanegbi, and Transportation Minister Yisrael Katz all finished in the top 10. Several relatively new Knesset members held spots in the next 10, including Miki Zohar (number 11), Amir Ohana (number 15), and Oren Hazan (number 20). A surprising entry came in the form of Judy Shalom Nir-Mozes, the wife of Silvan Shalom, who came in 34th place. She announced her candidacy on Twitter only three weeks before the event. After the results were announced, the attendees were asked whether they support former IDF Chief of Staff Gabi Ashkenazi joining the party. The results were close, with 45 percent opposed and 44 percent in favor (11 percent abstained). Prime Minister Binyamin Netanyahu did not stand for election and therefore did not appear on the list.